The modeling of a natural phenomena give soar to impulsive (instantaneous and noninstantaneous) fractional Caputo differential equations with boundary conditions. The behavior of the natural real world phenomena can be observed from the solutions of corresponding impulsive fractional Caputo differential equations with boundary conditions. Therefore, the existence, uniqueness and Ulam’s stability of the solutions of impulsive fractional Caputo differential equations are the most important concepts in fractional calculus. In this article, we take a noninstantaneous impulsive fractional Caputo differential equations with integral boundary conditions. 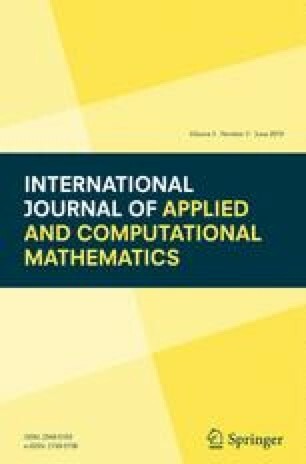 The main objective of this article is, to study the existence, uniqueness and different types of Ulam’s stability for the solutions of fractional Caputo differential equations with noninstantaneous impulses and integral boundary conditions. At last, few examples are given to illustrate the new work. The authors express their sincere gratitude to the Editor and referees for the careful reading of the original manuscript and useful comments that helped to improve the presentation of the results.